The battle over the legal status of charges levied by banks for unauthorised overdrafts has been one of the top consumer news stories of the year. Thousands of bank customers, convinced that these charges are not legal, have forced their banks and building societies to repay them; these repayments have run into millions of pounds. In recent weeks, however, the situation has changed. The Office of Fair Trading (OFT), a government department responsible for ensuring consumer protection from unfair business practices, is currently engaged in a legal battle with eight of the UK’s largest banks and building societies (the so-called ‘group of eight’); the OFT claims that the charges are unfair, while the banks are attempting to uphold their right to levy them. Why have the Charges been Levied? The charges in question are those made by banks when customers enter into an ‘unauthorised’ overdraft; that is, when they exceed their overdraft limit. Frequently these charges begin at up to £75, and the banks have charged interest daily on unsettled sums. The banks maintain that these charges are legal as customers must pay if they remain in un-arranged debt. However, consumer lobbying groups have countered that the charges are disproportionate; it would appear that under contract law firms are only allowed to charge a sum commensurate with a service provided when that charge is levied outside of the normal terms and conditions of a contract. It has been argued that £75 is a disproportionately high figure for an automated process of sending a letter to the customer informing them that they are overdrawn. Furthermore, the process has no benefit for the consumer and is solely carried out for the bank’s own purposes, meaning that the charges are not made in return for a service provided by the bank. The deluge of claims against banks has been held back as a result of the court case. While the legal process is continuing, customers have had their repayment claims put on hold. If the OFT’s case is upheld, this could open the floodgates for an unprecedented number of claims from consumers. 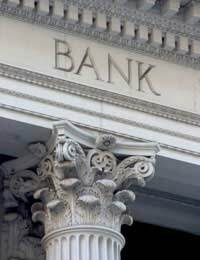 However, it is unclear what the effects might be if the banks win; no statement has been made regarding whether or not customers who have already successfully claimed back from banks will be expected to repay them, although this seems unlikely as the repayments that have been made have not been contingent upon the OFT’s success. What happens if the banks win? There are, however, concerns regarding the course of action that might be taken by the banks in the event of their failure in court. Several banks and building societies have suggested that they might begin making a monthly charge for the privilege of having a current account, bringing the UK in line with many other Western countries. If you think you are entitled to a bank charge refund, you can begin the process of reclaiming even while the case is still in progress, although you will not receive payment until its conclusion – and if the court finds in favour of the banks you will not receive payment at all. Information regarding how to begin this process is available in an article elsewhere on this site.